So the fact that our language is changing is inevitable – it is, and has been evolving ever since people first began talking, however, I think that the Internet and use of social media is acting a catalyst to noticing these changes. But has social media worsened our language? Should we try to prevent the change or embrace it? Since technology has developed SO quickly, we’ve had to make new words to describe new things. For example, before 1998, no one would have known what Google was, but now it is a commonly used verb, ‘to google’, as is ‘to facebook’, ‘to tweet’, ‘to blog’, and the list goes on..and this helps to show how much our language has broadened in terms of variety and number. 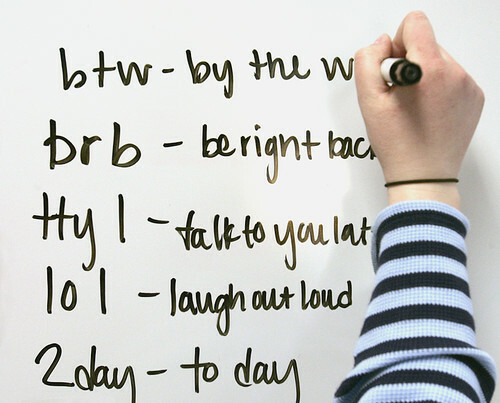 New acronyms and abbreviations of words are constantly being made to try and make communication as quick and efficient as possible, as, to be honest, most of us are quite lazy. I think a lot of us can admit to the fact that when informally chatting to someone over Facebook, we do not tend to pay attention to whether what we are saying is grammatically correct, all we care about its whether the person with whom we are communicating understands. 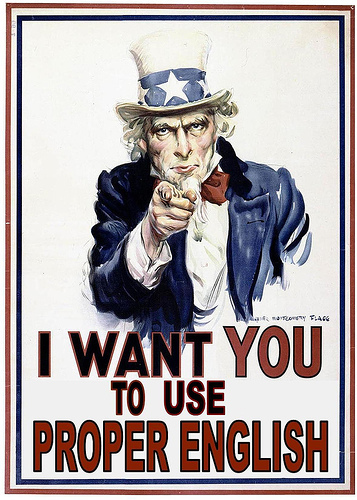 And consequently, more and more people are making spelling and grammatical mistakes, especially the younger generation. Unfortunately, this seems to be having a pejorative effect on the way we speak, write and type; which some people debate is effecting school work, since children are making the very simple mistakes with punctuation, such as ‘your’ and ‘you’re’…with spelling and perhaps may even have a smaller range of vocabulary. This could be because less children are reading as they are spending more time on the internet, however it could be argued that the internet is also helping to enrich one’s language as there are so many opportunities to do so. Furthermore, a lot more people are using slang and colloquial expressions in our every day language, often by accident. Some people say that this is also worsening communication in person, as mispronunciation or just slang in general can easily be misinterpreted, and this is very ironic seeing as the internet has actually given more opportunities for communication. In addition, this is happening all over the world, because as I said in the beginning, language change IS inevitable, however it is happening much quicker owing to the use of social media. I also think that all of our languages are interweaving with each other as the internet is connecting people from all over the world in just seconds. I have heard people in France say words like ‘swag’ and ‘hashtag’, which have not originated from their own language, but ours. From a positive light, we can see it as further globalisation and interconnection of the world, however, on the other hand we can also see it as quite sad and disheartening, that languages are being infested with slang from other countries. So should we ignore this change and go along with it? Or should we try to prevent it, and if so…how? « Korean education: Yay or Nay?